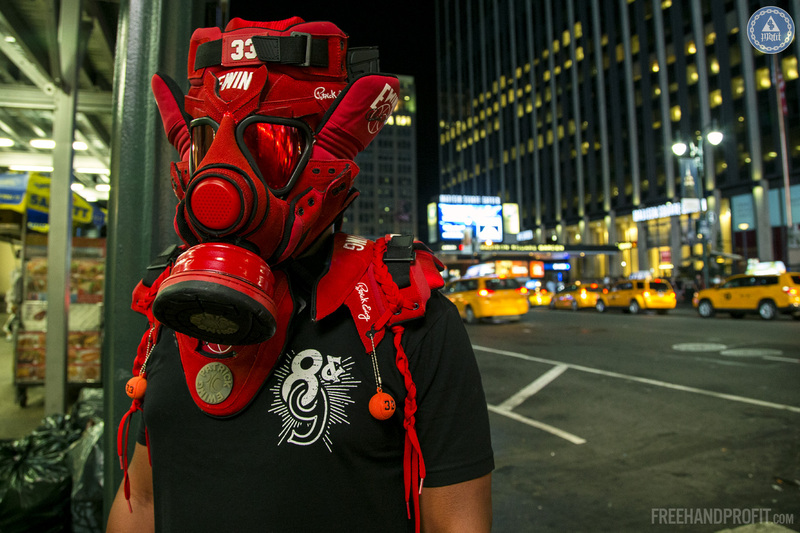 8&9 MFG Co brought me to NYC last weekend for 8and9 Presents #FreehandProfit at SneakerCon NY. 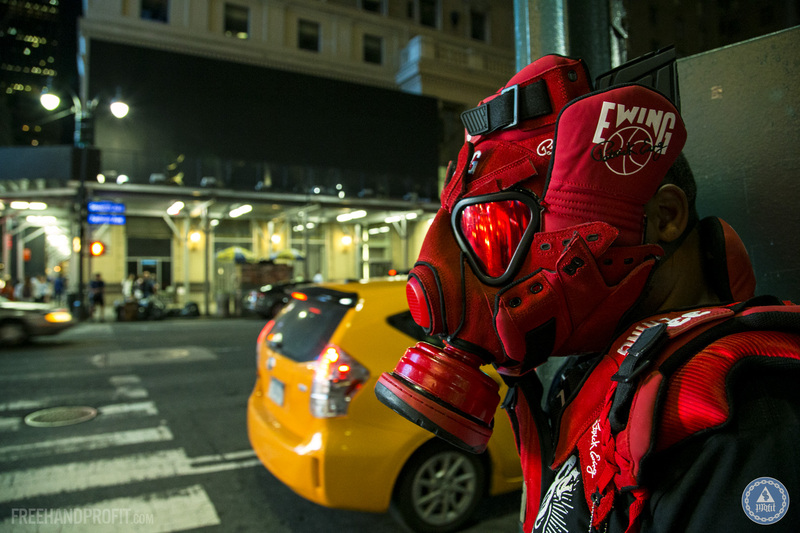 We displayed 4 sneaker masks including the first time ever the Ewing 33 “Red Suede” mask, as well as a wide selection of 8&9 tees designed by yours truly, and exclusive and rare Mini Mask key chains and lace locks – even a case full of Kryptonite. Folks who did make it out to SneakerCon witnessed me chop a pair of Nike Air Trainer IIIs for an upcoming piece. 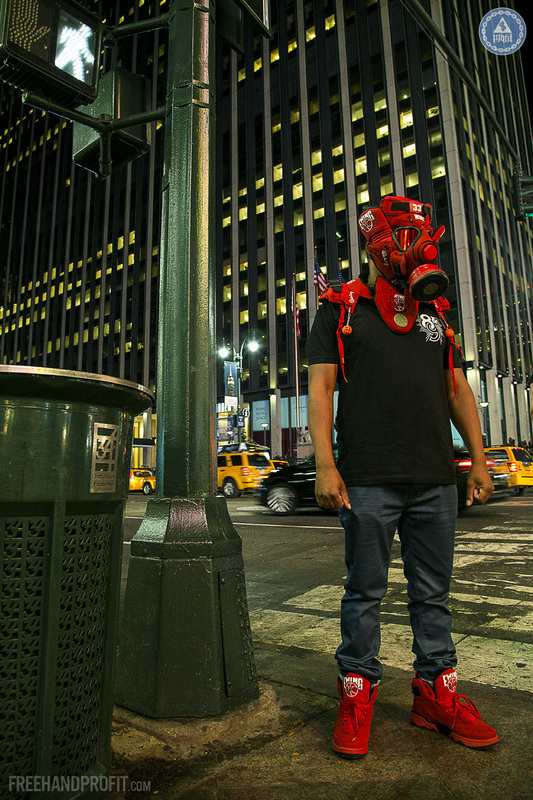 The night before SneakerCon NY however, @Figgs8and9 and I hit the streets of New York City, brand new sneaker mask and matching sneaker shoulder harness fresh from the studio in LA in hand, the Canon was loaded. 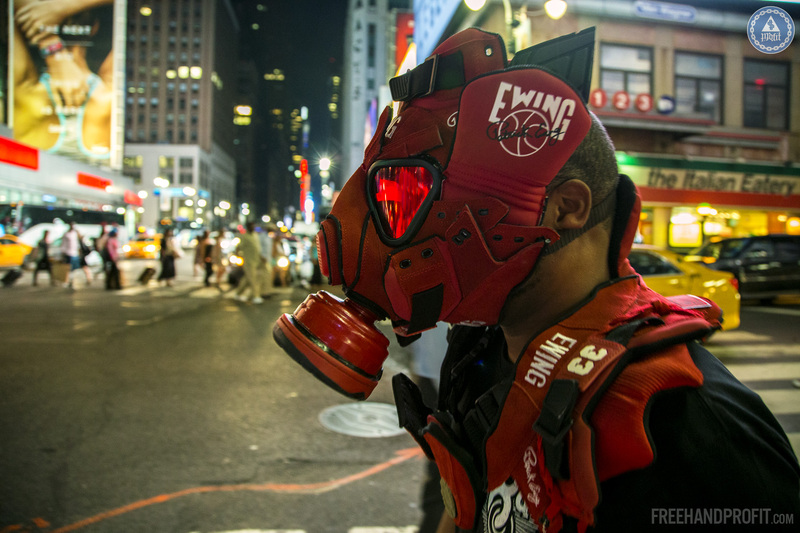 And when you’re shooting a mask made from Ewing Athletics basketball shoes where better to go but MSG (Madison Square Gardens). Admittedly we planned to start shooting much earlier but Figgs and I had a lot of work to do and places to stop before the masked adventure began. We may have lost our day’s natural light but the Canon 6d was more than happy with NY’s bright city lights. 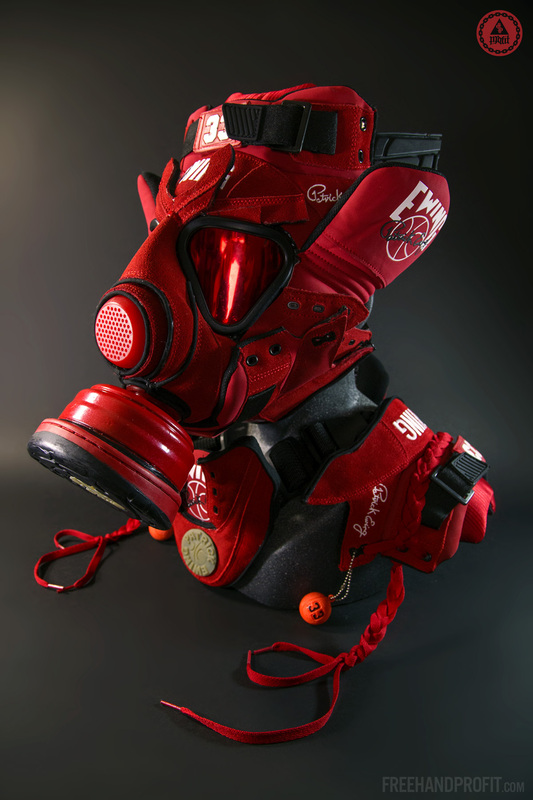 *It’s good to note here to folks new to the work, although you see it worn, these are not intended as fashion but are both art objects (the sneaker mask) & fine art photography. 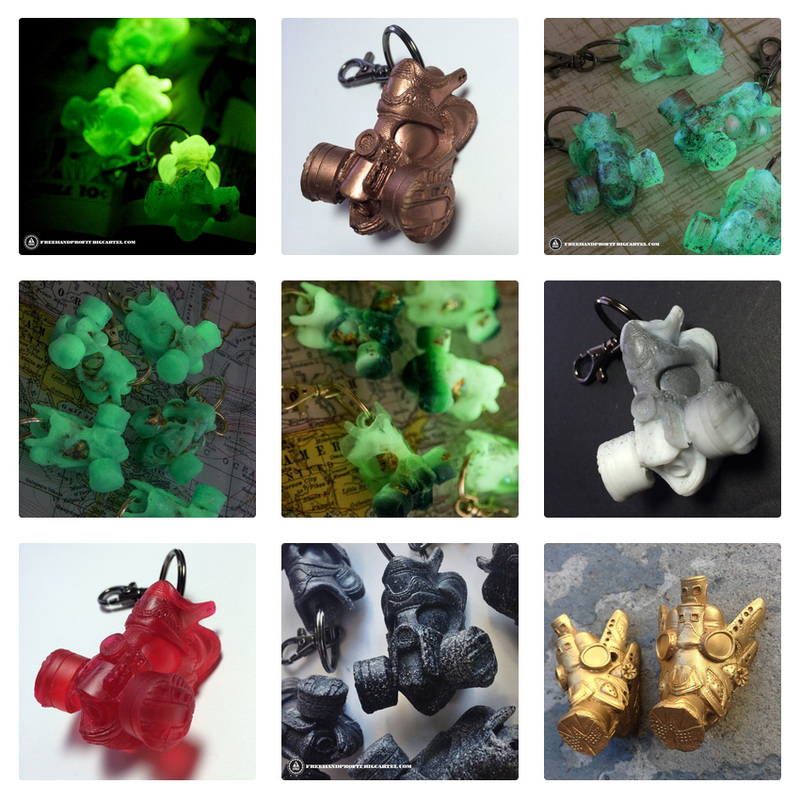 You can find out more about what the work means by clicking here. 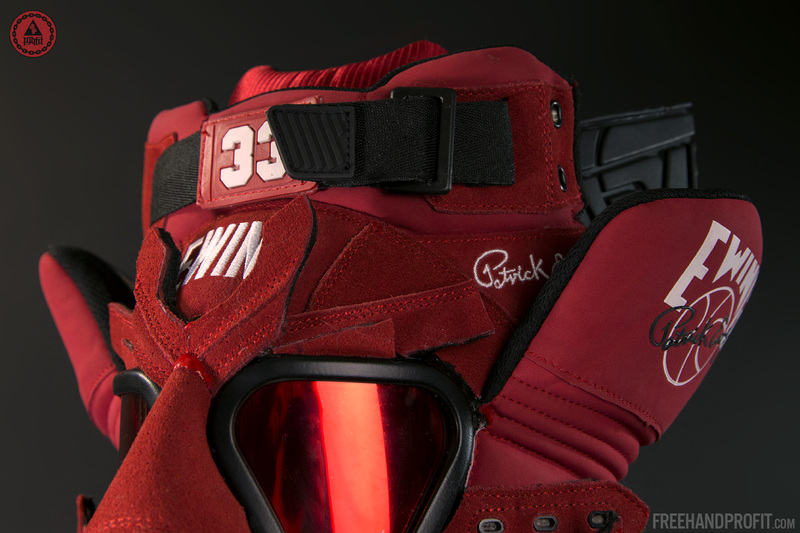 The Ewing 33 Hi “Red Suede” Gas Mask is the 84th sneaker gas mask that I’ve created but the very first one to feature an accompanying shoulder harness – a step towards the full body sneaker armor I have plans for. 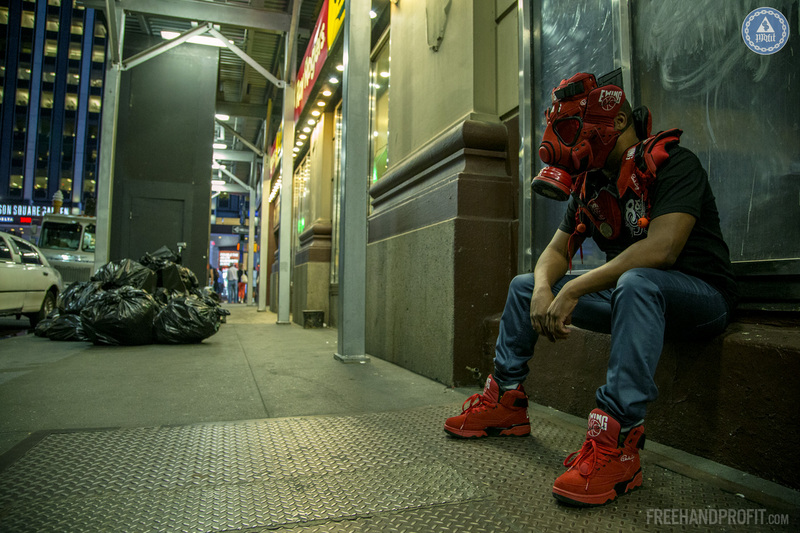 Figgs had sacrificed 2 pairs of his beloved “Red Suede” 33s to my Chopping Block – normally 2 pairs can mean more creative control and a more interesting mask simply because I have more material to work with but the Ewings were plentiful in materials and I found myself with a surplus of materials and a chance to do something I’ve always wanted to do. And being that Figgs and I are 8&9 family, it also gave me a chance to include an 8&9 woven label into the shoulder piece. While in New York I made sure to finally stop by a few places I’ve always wanted to see – namely the MoMA and The American Museum of Natural History. The MoMA was great of course, but I could have spent another week at the AMNH. I had great company as well, fellow artists and close friends Jen & Nadir came down to the city to museum hop with me for the day. 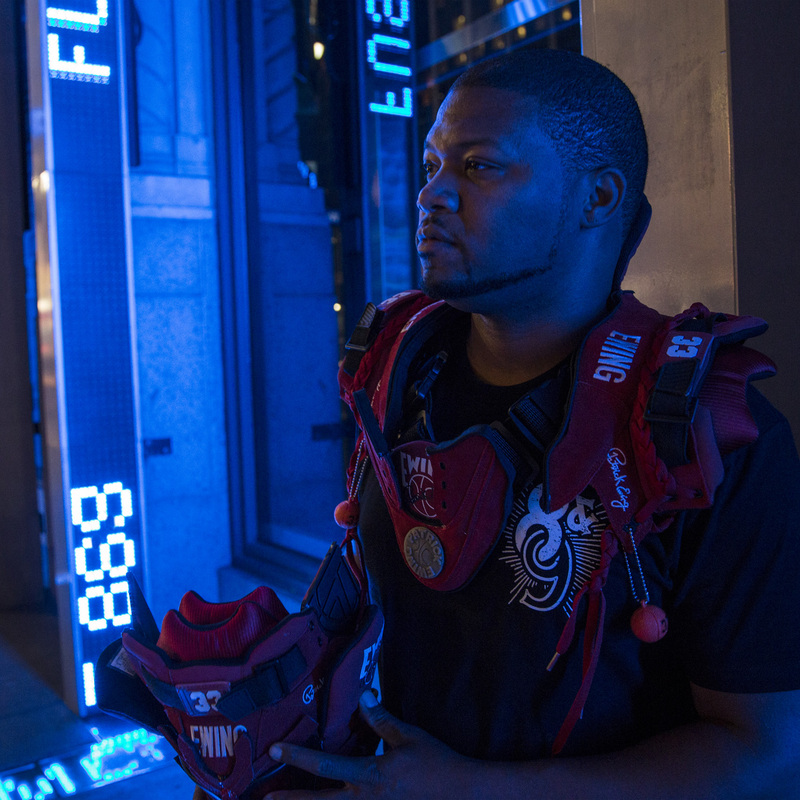 Once they kicked us out of the museum *closing time* I hopped on the C train out to Brooklyn to catch a private screening of the sneakerhead documentary “Laced Up” by @TippyWalk over at @RimeNYC. 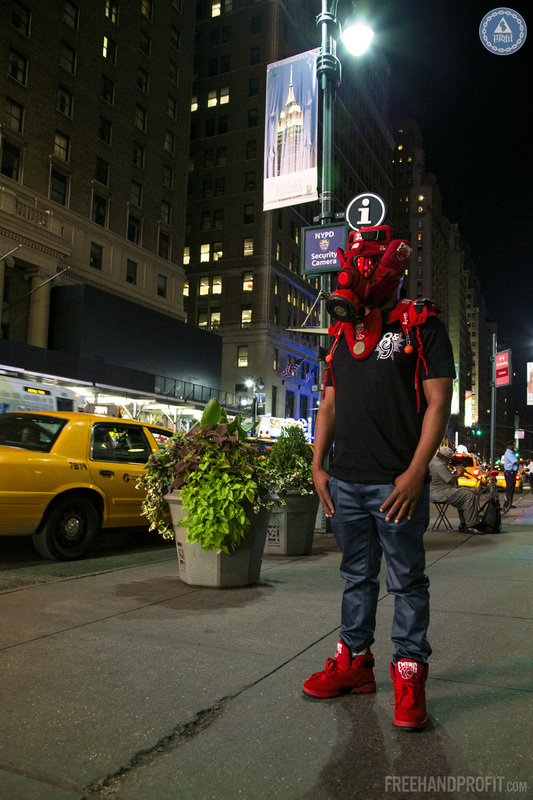 You guys are going to love the “Laced Up” doc which includes wisecracks from REE, wisdom from Sean of OSDLive, insights from @mache275, interviews with dedicated sneakerheads of all types – including one bearded mohawked guy you might recognize who chops up shoes to make masks out of. Stay tuned for screenings and releases near you. Last but certainly not least, Thank You New York! And Thank You 8and9! It was a great trip and I look forward to the next time, stay up! 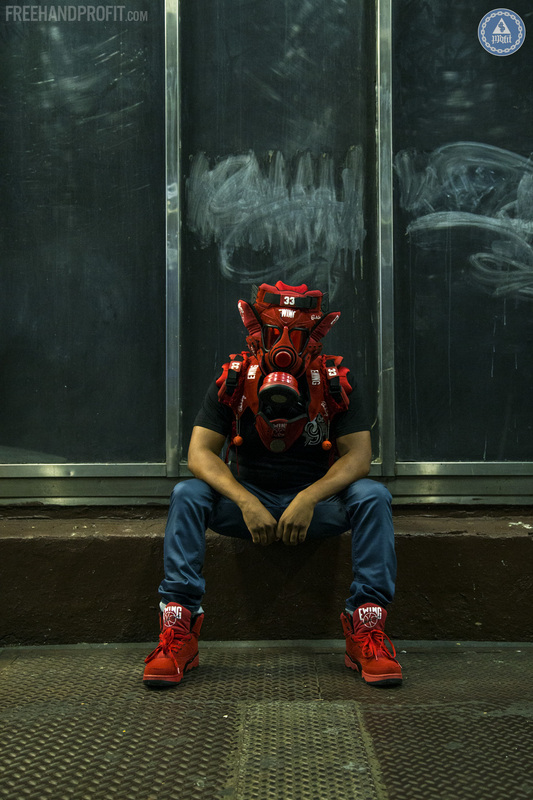 Previous Post @8and9 Presents: @FreehandProfit LIVE at @SneakerCon New York this Saturday! SEEING YOUR WORK AT SNEAKER CON MADE ME AN AUTOMATIC FAN. 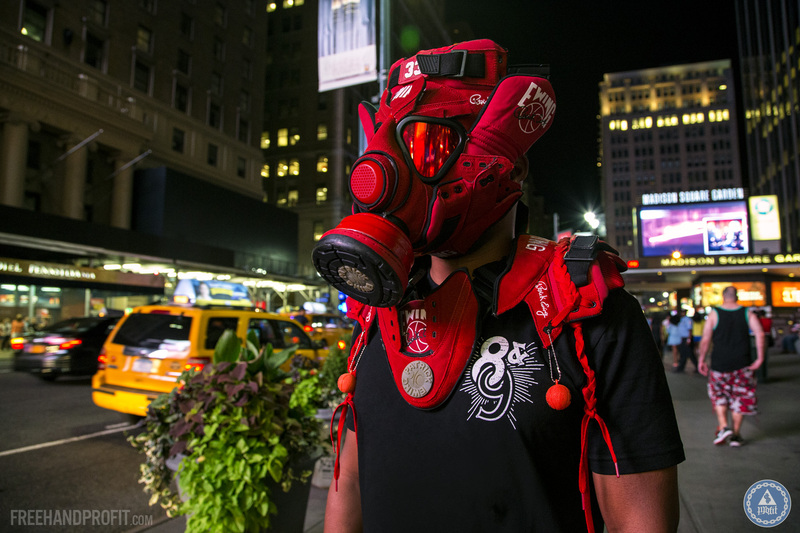 I WOULD LOVE TO PURCHASE A MASK FROM YOU AS WELL AS SUPPORT EIGHT & NINE. 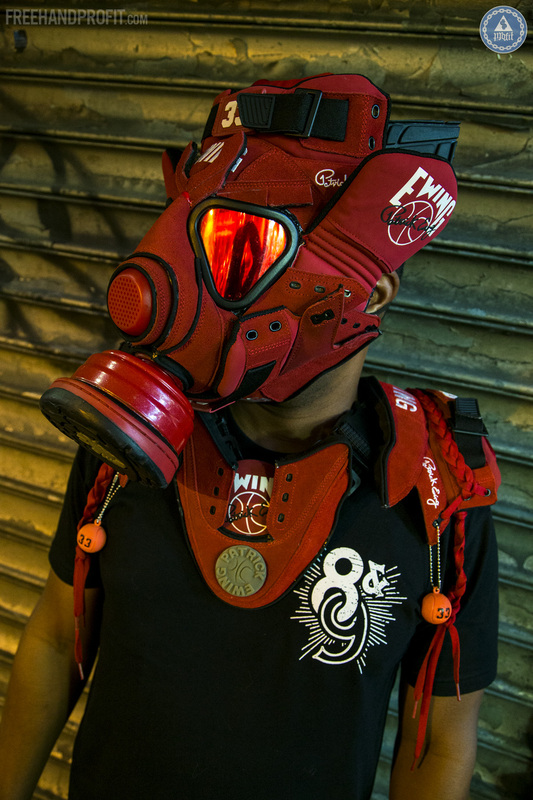 How would i purchase one of your unique gas mask asap? bruh your work is sick !!!! !how can i get one ?? 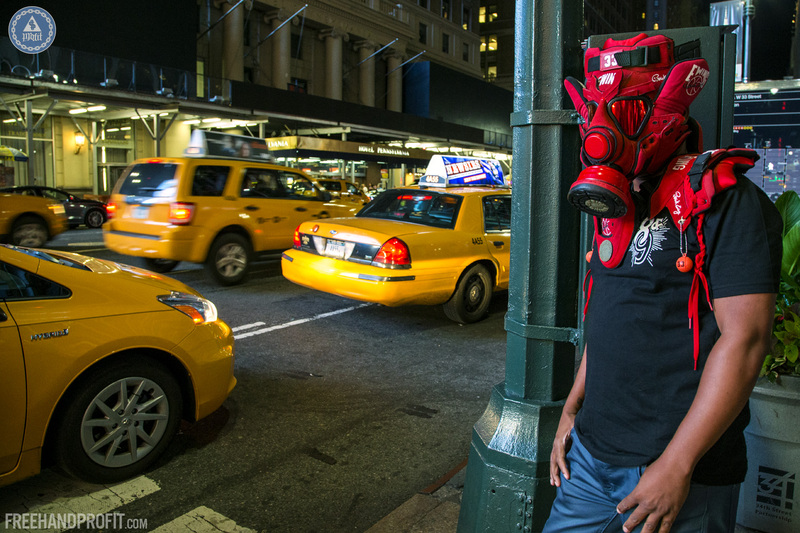 Where can i buy these masks bro? 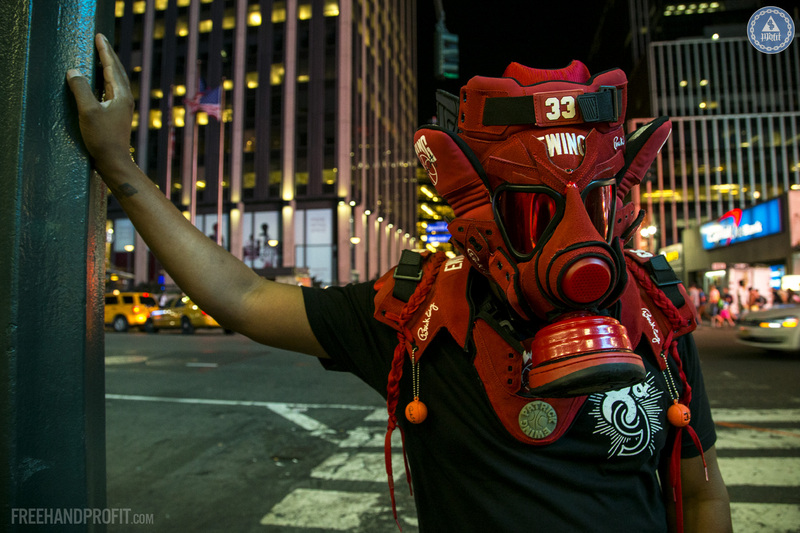 Hey man, i wanna buy your mask. How can i get one?? ?